When my parents and I crossed the Channel last Friday from France to England we had no idea how wonderful those 3 days ministering would be. After 2 hours’ drive from Dover we made it to the breath-taking site of Ashburnham Place where for the past 26 years Ichthus churches meet for a week of teaching, seminars, worship and fun. The event is led by Roger and Faith Foster, who for decades have been on the for front of the Church in the UK. We were so well welcomed by Roger Forster and the team. I spoke on Sunday night . The marque was packed with Christians from all ages, so ready to hear from God’s Word. Monday morning was one of the highlights as Mum, Dad and I all shared from the stage. Our message ‘ When God sends you, He’ll provide!’ was so well received. Papa and Maman were just so alive on the platform sharing some of their life stories. What a captivated audience. I told Mum that in the future she really needs to speak more often. She has so much to give. I preached again on Monday night. The atmosphere was thick with God’s presence. If worship at every meeting I went too was as powerful as this , preaching would be so much more easier and effective. At both Sunday night and Monday night meetings many came forward for prayer. 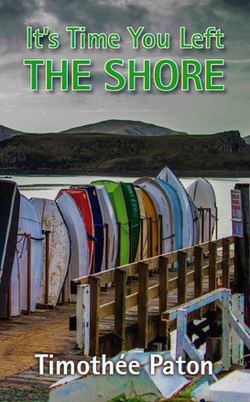 Over 300 copies of ‘ Leave the Shore’ were sold . The next meeting on the ‘ Inspiration Tour’ will be at ‘ La Porte Ouverte ‘ church here in Chalon sur Saone this Sunday. And if those ones were the true heroes ?